Muluwerk Hale currently lives in Ogden, Utah and attends Weber State University. She is majoring in International Public Relations/Communications and plans to work as a Public Relations Specialist in a corporate environment where she can use her skills to bring people together for a joint purpose. 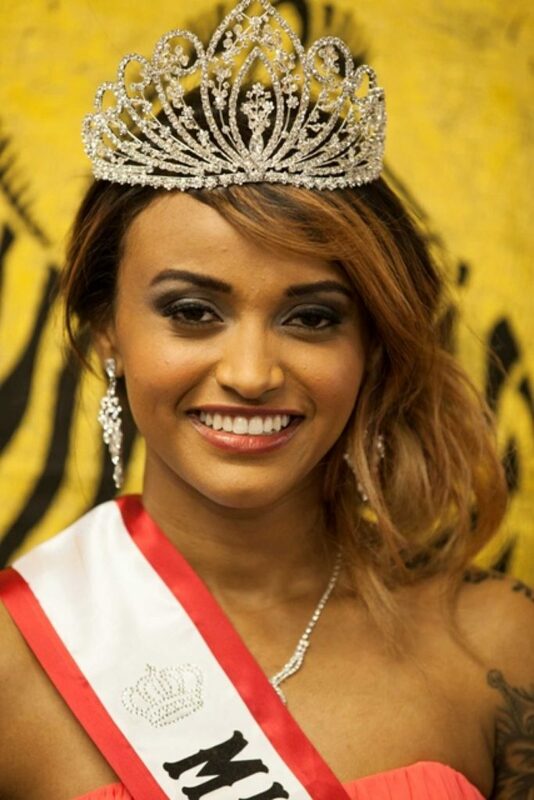 Muluwerk is participating in the Miss Africa Utah Pageant representing her deeply historic and beautiful country of Ethiopia. Born in Jijiga, Ethiopia, Muluwerk later moved to Addis Ababa with her mother. When she was just eight years old, her mother tragically died leaving her as one of the millions of orphans in Ethiopia’s capital. Muluwerk lived with several different friends and relatives until she was adopted by an American couple when she was 14 years old. She was then raised as part of a loving family in Utah with her adopted father, mother, and step-sister along with three children adopted from Ethiopia ( two girls and a boy ). Being in a new family with a new language and culture came with many challenges, but Muluwerk was determined to succeed. She was placed in public school with limited resources but her dedication drove her to excel in whatever she set out to do. In college, her independent nature, determination and strong work ethic continue to push her to exceed the high expectations she sets for herself. Muluwerk continues to remain very connected to her Ethiopian heritage. She has stayed fluent in her native language of Amharic by reading books, speaking with her Ethiopian siblings, friends and listening to cultural music. As a child she could often be found cooking traditional Ethiopian dishes to share with her family and friends. Through Muluwerk and her family’s connection with charitable organizations, she has had several opportunities to participate in humanitarian efforts: represent her homeland at public speaking events and fundraising activities; as well as provide cultural presentations for churches, schools, and girl scouts’ groups. Her life experiences have taught her the value of education, diversity, and importance of looking at life through a global perspective. She is very excited to be part of the Miss Africa Utah Pageant and to share her passion of educating young girls to provide them a better future.